The Bank of England’s “Bank Rate” (more commonly referred to as “base rate”) reached an historic low of 0.5% in March 2009. To put it in context, just a year beforehand, it had been 5.25%. Even that pales into insignificance compared to previous high points of 14.875% (October 1989) and 17% (November 1979). Since March 2009, however, it has remained rock-steady at 0.5%. This will not last. It has been widely predicted that the Bank of England’s Monetary Policy Committee will soon start to raise the base rate. The minutes of the Committee’s May meeting suggest that the decision over whether to raise the rate is becoming more balanced and that some members considered that it might be necessary to start raising the rate earlier than previously expected. While we do not know when a rate rise will happen, it is fairly safe to assume that it will happen in the relatively near future. 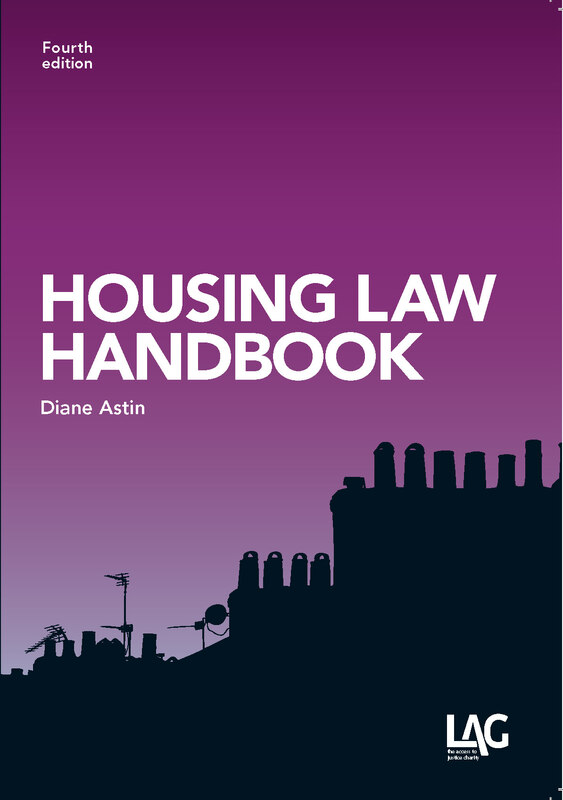 What has all of this got to do with housing law? Our interest (sorry!) is what it means for borrowers and other occupiers when the interest rate rise starts to bite which is the point when economic policy will collide with housing law. As rates rise, so will interest repayments on mortgages. This will affect even those on fixed rates because the rate will come to an end at some point, at which time those borrowers will move over to a tracker rate. Nor is it that far away: lenders are well aware of what is happening and, for a while now, longer periods available at a fixed rate have been less readily available. Many of these are what has come to be known as “mortgage prisoners”, i.e. they are unable to access further credit (as they could have done before the financial crisis in 2008) and so cannot protect themselves from future rises by re-mortgaging. The Resolution Foundation identified that almost one in ten mortgagors might fall into this category. A stark illustration of the size of the problem ahead can be found in the results of a new survey published by the HomeOwners Alliance, the 2014 Homeowner Survey which found that one in three homeowners fear that they will find it more difficult to afford payments on their mortgage or other debts if interest rates start to rise. In particular, 64% of those on interest-only mortgages were concerned. This echoes the findings of a 2013 HomeOwners Alliance research publication, On the Edge: Impact on Homeowners of Changes to Interest-Only Mortgages, which found that 400,000 people feared that they would no longer be able to afford their mortgage payments and that 300,000 were worried that they would need to sell their home in order to repay their mortgage. There may be some crumbs of comfort in the Financial Conduct Authority’s guidance Dealing fairly with interest-only mortgage customers who risk being unable to pay their loan, although this assumes that lenders will follow the guidance which is probably an optimism too far: little attention has been paid by some lenders, especially secondary lenders, to the Pre-Action Protocol for Possession Claims based on Mortgage or Home Purchase Plan Arrears in Respect of Residential Property which requires claimants to identify what alternatives to eviction they have considered (and which therefore contains a similar thrust to the guidance) – see Professor Susan Bright and Dr Lisa Whitehouse, Information, Advice & Representation in Housing Possession Cases. It is inevitable that there will be an increase in the number of cases where borrowers find themselves in serious difficulty. It is at just such times that occupiers – borrowers themselves and, sometimes, their tenants – are most in need of legal assistance. It is no coincidence that many of the key authorities on mortgage possession defences all have their origins in the last big recession in the early 1990s, e.g. Cheltenham & Gloucester Building Society v Norgan  1 W.L.R. 343; (1996) 28 H.L.R. 443, CA (proceedings issued May 1990). Bristol and West Building Society v Ellis (1997) 29 H.L.R. 282, CA (proceedings issued August 1990). Rahman v Sterling Credit Ltd  1 W.L.R. 496; (2001) 33 H.L.R. 708, CA (proceedings issued October 1990). 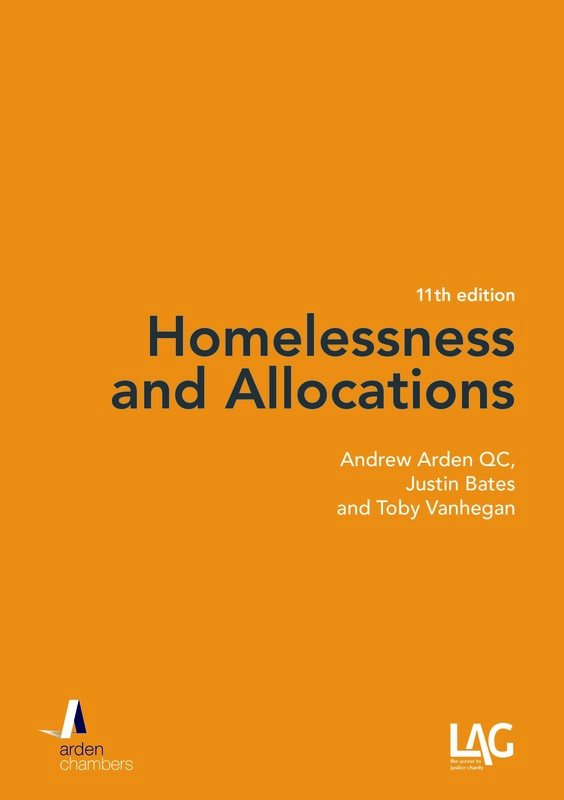 Southern & District Finance plc v Barnes (1995) 27 H.L.R. 691, CA (proceedings issued February, April & October 1993). 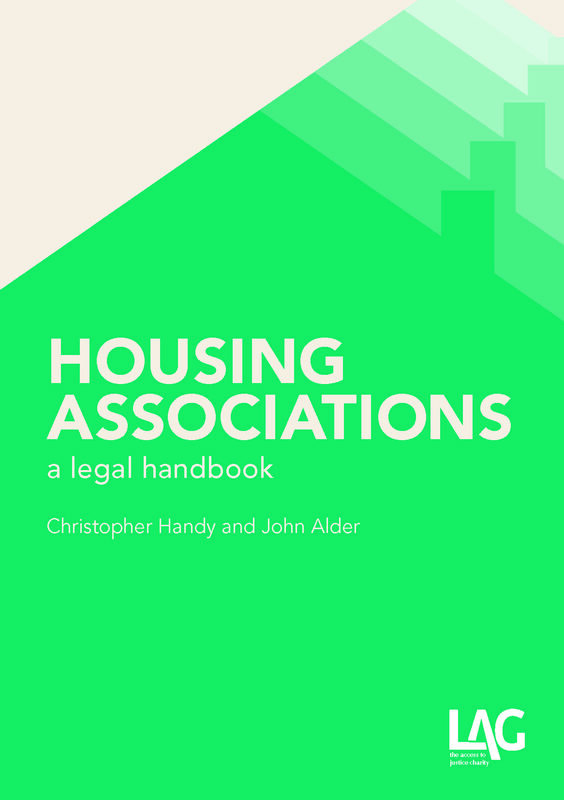 National & Provincial Building Society v Lloyd (1996) 28 H.L.R. 459, CA (proceedings issued July & August 1994). The list could easily be five times longer! What it means in practice – pious aspiration aside – is more and more possession claims. This will be observable in, primarily, two ways. The first will be an increase in the number of claims brought by mortgagees against owner-occupiers; the second, an increase in the number of claims brought by receivers against the tenants of buy-to-let properties. All is, however, not always lost in either case. Many defences may be available to a borrower, even when in default. The first port of call is usually s.36, Administration of Justice Act 1970 read with s.8, Administration of Justice Act 1973, which between them grant the court power to adjourn the proceedings or suspend possession for such period as the court thinks reasonable. The effect of these provisions is that – at any time prior to the execution of a warrant – the court may adjourn proceedings, suspend the possession order or stay a warrant, if it is satisfied that the borrower is likely to be able to clear the arrears within a reasonable period of time, the starting-point for which is the remainder of the term. Other arguments may be available under the Unfair Terms in Consumer Contracts Regulations 1999 (notwithstanding the decision in Office of Fair Trading v Abbey National plc  UKSC 6;  1 A.C. 696) or the Consumer Credit Act 1974 (many mortgages are outside of the protection of the 1974 Act, but not all, and there are unresolved issues about the scope of ss.140A & 140B, which give the court wide powers where there has been an unfair relationship between a creditor and a debtor). Another option may be to rely on Art.8. At one time, this only offered limited assistance as it had been held in Barclays Bank v Alcorn  EWHC 498 (Ch), that s.36, Administration of Justice Act 1970, struck the right balance of interests and was not inconsistent with the Convention rights under Art.8 or A1/P1, so that the Convention added nothing. The law has, however, moved a long way since then (see Manchester CC v Pinnock  UKSC 45;  2 A.C. 104;  H.L.R. 7, Hounslow LBC v Powell  UKSC 8;  2 A.C. 186;  H.L.R. 23, and the obiter comments of Sir Alan Ward in Malik v Fassenfelt  EWCA Civ 798, a case we have written about before): these cases suggest that Art.8 requires specific and individual consideration of the proportionality of a re-possession order in each case not merely recourse to a “balanced” law. We hear of district and circuit judges who are prepared to entertain such arguments –the April 2014 edition of Legal Action (available from LAG) includes a report of a case where a district judge was prepared to accept that Art.8 gave the court a wider discretion that s.36, 1970 Act. Meanwhile, advisers of tenants who face possession proceedings brought by their landlord’s mortgagee or by receivers appointed by the mortgagee also have a range of possible defences open to them. Not only is the argument that Art.8 is available strong, but there are also more traditional domestic law points that can be taken. Has the correct notice been served? Is the notice valid (even after Taylor v Spencer  EWCA Civ 1600;  H.L.R. 9, there is still scope for challenging many s.21 notices)? Has the right party brought the claim? Is there an issue with any deposit paid for the tenancy? Even if none of these works, there may be some limited assistance to be found in the Mortgage Repossessions (Protection of Tenants etc) Act 2010 which can give tenants up to an extra two months in the property. There may be trouble ahead; the law may be able to help, if only for a while.